How rich is Brock Osweiler? As of mid-2016, sources inform us of a net worth that is at $3 million, mostly earned through success in professional football. It is reported that he earns an annual salary worth $880,000 thanks to a high valued contract. He’s received several awards, and as he continues his career it is expected that his wealth will increase. Brock was born into a family that had talent for football. His father was offered college scholarships and his older brother played college football. He attended Flathead High School and played both basketball and football. He had to travel to nearby cities to play basketball and initially intended to have a professional basketball career but later changed his focus to football. He became the 2008 to 2009 Gatorade Player of the Year thanks to his performances during his senior year. Osweiler had several scholarship offers but eventually went with Arizona State University; he became the first freshman to start a game with the Sun Devils since 1993. During his third year he became the starting quarterback, and finished his junior season with 4,036 yards and 26 touchdowns. He was rated as the sixth best quarterback for the 2012 NFL Draft, and was selected as the second round pick for the Denver Broncos. He signed a four year contract worth $3.5 million which started to boost his net worth. From 2012 to 2014, Brock played a few games but had a lot of memorable moments including great performances that led the team to wins. He was given time to shine in 2015, when he took over from Peyton Manning, who was benched during a game because of injury. With Manning unable to play, Osweiler took the duty as a starter and had his first game on his 25th birthday, becoming the first player to start and win his first career game on a birthday. He was now getting a lot of attention, and continued to lead the Broncos to wins. Even later, when Manning returned to practice, Brock continued to start games and posted good statistics despite a few losses. Eventually, he was replaced by Peyton during the season finale which led to another win. 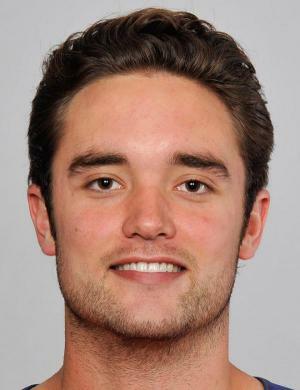 Unfortunately, Osweiler was benched during the playoffs because of an injury, but got a Super Bowl ring with the team’s win against the Carolina Panthers.